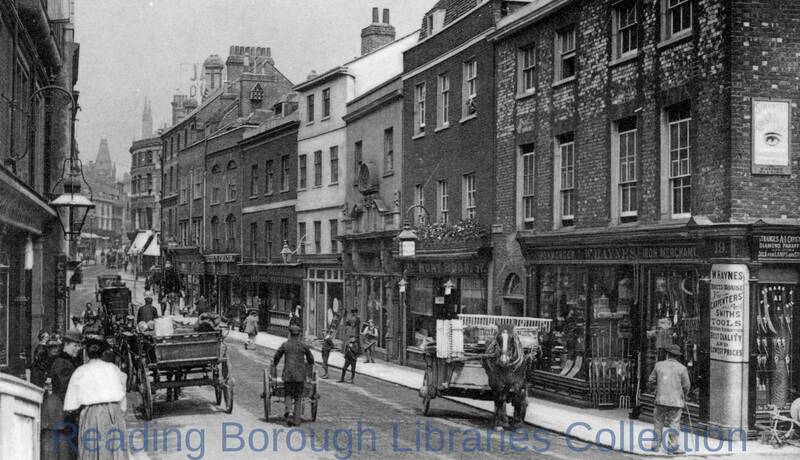 Duke Street, Reading, looking northwards to High Street, c. 1880. On the west side, Nos. 20 and 22 (The Lower Ship Hotel, with a large lamp above the door), and the sign for a cafe. On the east side, Nos. 13 and 15 (Silver and Son, furniture makers); No. 17 (Henry Hunt and Sons, grocers); No. 19 (W. Haynes, ironmonger). There is a pigeon-loft on the chimney-stock of No. 7. 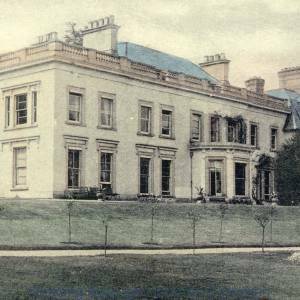 1880-1889 : There is a postcard version at Dynix 1210190. The original photograph is in album R/C 10369.
black and white photograph ; 12x20cm.